If you are transgender and serving or hoping to serve in the military, we want to hear from you and learn about how you may be affected by President Trump’s announcement to ban transgender people from the military. 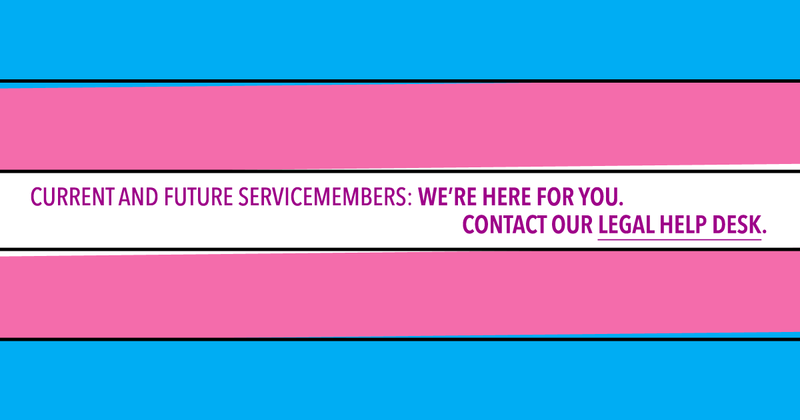 Lambda Legal and Outserve-SLDN (Servicemembers Legal Defense Network) have joined forces to fight back against the ban and to defend the rights of transgender people who are serving or want to serve our country. Lambda Legal is the oldest and largest legal organization fighting for the rights of LGBT people and everyone living with HIV. Outserve-SLDN is an organization that represents the U.S. LGBT military community worldwide.